"We don't pluck them," asserts Pak Wiyoto. "We just collect the ones which have fallen." 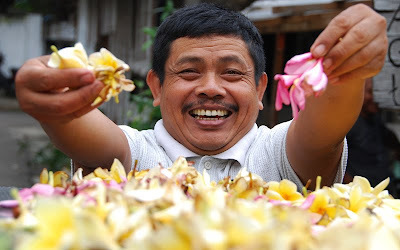 Under the late afternoon sun in Kemang, south Jakarta, Wiyoto and his wife Khodija have set woven platters of wilting frangipani flowers to brown and crispen. "We call them bunga kemboja," says Khodija. "We collect the naturally fallen flowerheads, sun dry them for four days, and then sell them to a factory in Surabaya, east Java, which uses their fragrance to produce anti-mosquito lotions and scented oils." The dried golden flowerheads sell for Rp 8,000 ($0.85) per kilogramme. "They used to fetch Rp 20,000 per kilogramme back when we were the only ones selling them. Now there are many collectors and the price has dropped." 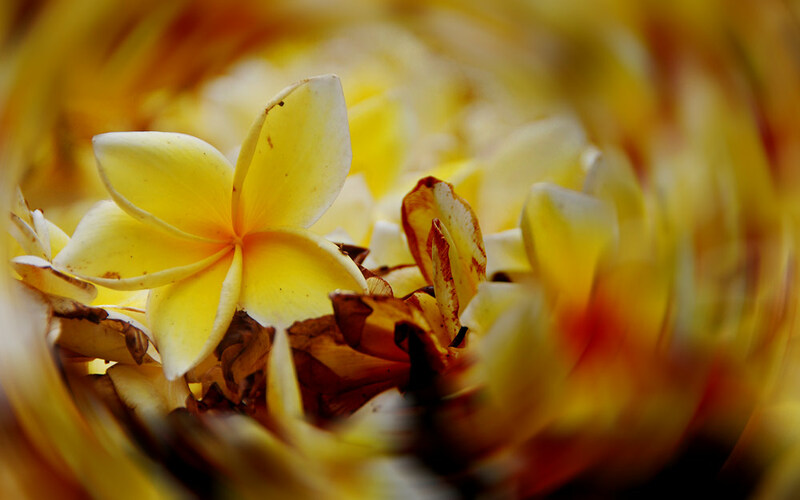 "Naturally fallen frangipani blooms smell sweeter than those plucked too soon," explains Khodija. "And the yellow ones smell better than the pink. We've been collecting them for ten years now." "Five," corrects Wiyoto. "Now is the season for collecting the flowerheads, but the recent rains are making our work unpredictable." Three schoolchildren in caramel and chocolate-coloured uniforms stroll down the lane. 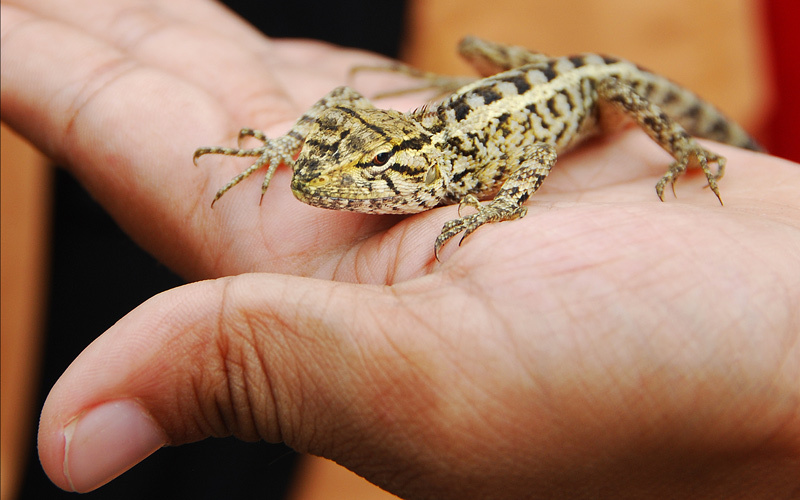 One carefully carries a small lizard in his palm. "I found it in a tree," he grins. 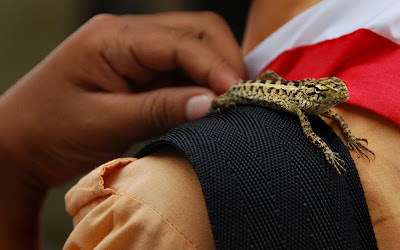 The little lizard lies perfectly still. Then suddenly leaps from the palm and scampers across the road and into the shadows beneath a scruffy wooden cart. "Oh!" exclaim Wiyoto, Khodija, and the children together. The kids scamper after the lizard, snatching it up again. "Hey," Wiyoto says earnestly, as we prepare to leave. 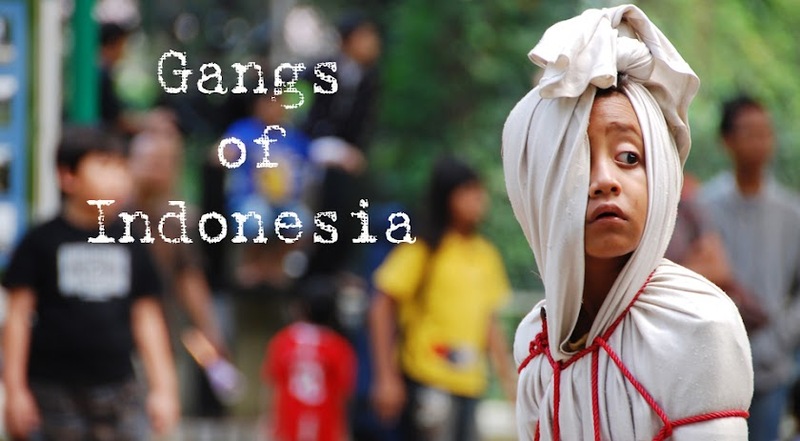 "Indonesians like talking to foreigners. Don't be scared. We like to gossip and share. Indonesia is safe. Indonesians are friendly!"